One double bedroom FURNISHED apartment located in Buckingham Town Centre and WITHIN A SHORT WALKING DISTANCE TO THE UNIVERSITY. The property benefits from ONE ALLOCATED OFF-ROAD PARKING SPACE. 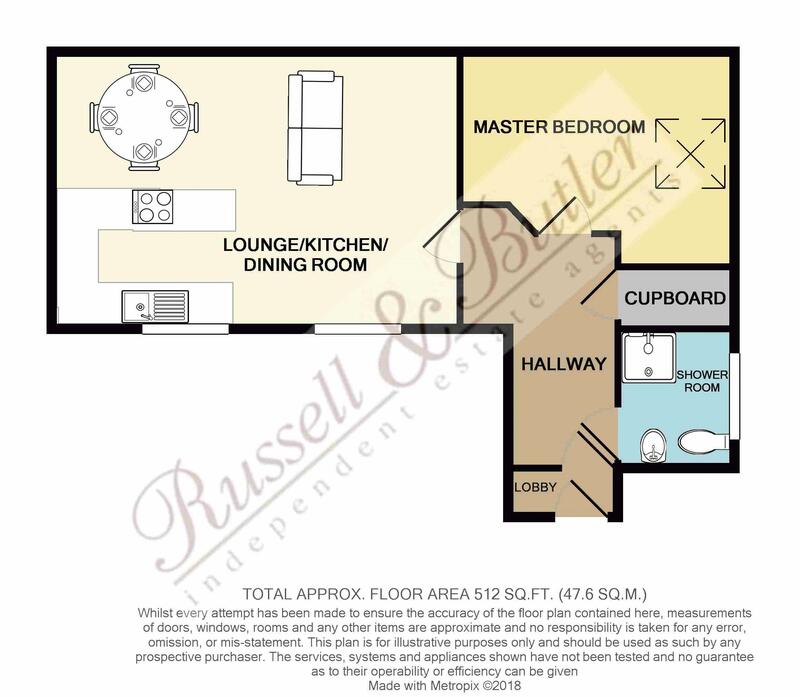 The accommodation comprises communal entrance, entrance hall with entry phone system, open plan kitchen/lounge/dining room includes fridge and washing machine, double bedroom, (Tenants to provide their own mattress), shower room. NO PETS. AVAILABLE END JUNE. 'Sunhouse' electric panel heater, entry phone, cupboard housing electric water heaters, mains smoke alarm, exposed beams, fitted carpet. Kitchen includes single electric oven, four ring electric hob, under counter fridge with freezer box and washing machine. 'Sunhouse' electric panel heater, exposed beams, sealed unit double glazed Velux style window to side aspect. White suite of fully tiled shower cubicle, pedestal wash hand basin, low flush W/C, ceramic tiling to water sensitive areas, heater/towel rail, sealed unit double glazed window to side aspect, extractor fan, vinyl flooring, exposed beams. Allocated parking space. Communal bin storage area.